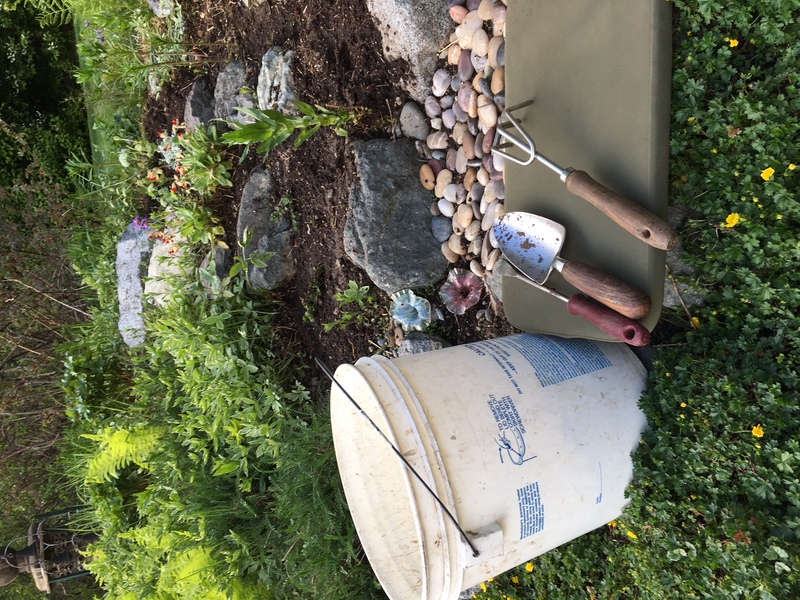 Preparing the garden for summer means organized and persistent yet paced work. Prepare yourself for the gardening activity. Wear appropriate clothing and protective gear. Apply sunscreen to exposed skin areas. Wear a cap. Wear knee pads, generously use hand cream before putting on plastic gloves then cloth gardening gloves. Consider pesky insects by wearing light colored clothing and possibly spraying insect repellant on clothing. Early in the season mosquitoes may not be a problem especially if there is a slight breeze. 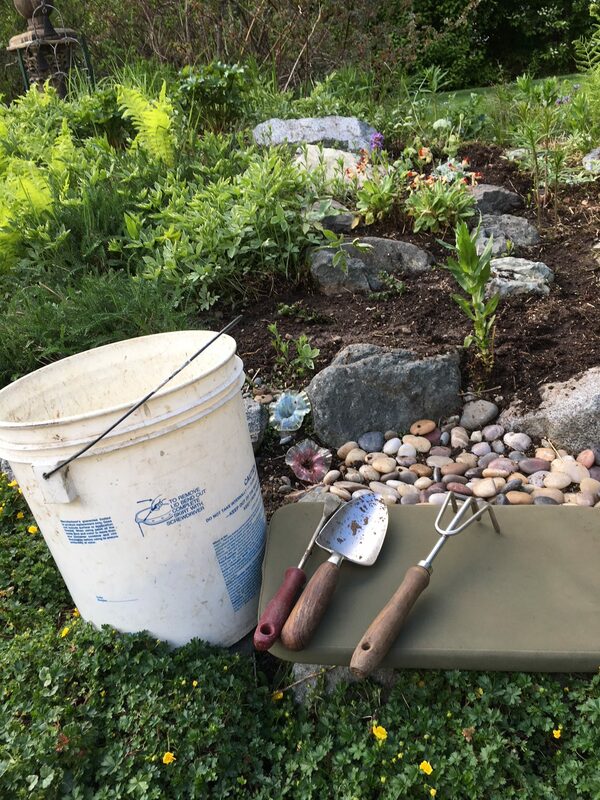 Collect gardening tools (dandelion fork, hand trowel, hand trimmer and metal claw fork) in a large plastic used paint bucket. Remove dead leaves and debris from last year. Slowly work each bed knowing you do not have to do everything in one day. Pace yourself. My garden has at least ten different beds/areas. I spent time cleaning out several bed/areas for a few hours each day for about five days. Dig dandelions immediately before they flower. Be aggressive in weeding and clearing unwanted plants such as grass from beds. Early weeding is easier. Acknowledge that weeding is a sisyphean task. As in first step pace yourself in weeding. Pick an area each day to spend time weeding. This year I had success in killing some dandelions using a 25% ascetic acid vinegar. This is an acid and should be handled very carefully. It will also kill just about any other plant. Have and follow a plan for each bed. Be sure to harden off plants. It is great to do planting on a cloudy, calm day. My goal for the flower beds is to have 90% of the plants perennials. This year I had some herbs winter over—a first for me. Oregano and thyme came back. Chives have always returned and thrive. Sit and enjoy your spring-time garden. I love my perennials and augment the flower beds with some annuals. I especially like nasturtiums as they are edible as well as beautiful in the garden. 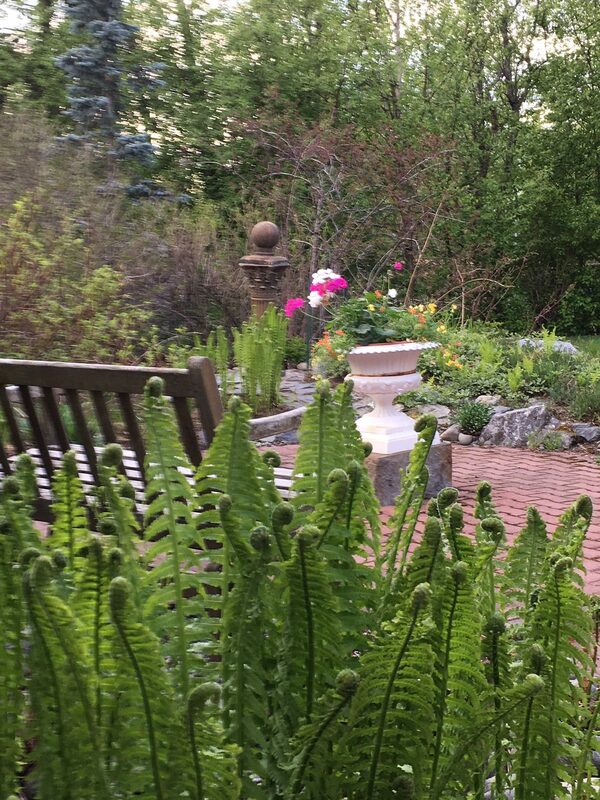 Relax & enjoy garden as it wakes from winter sleep.